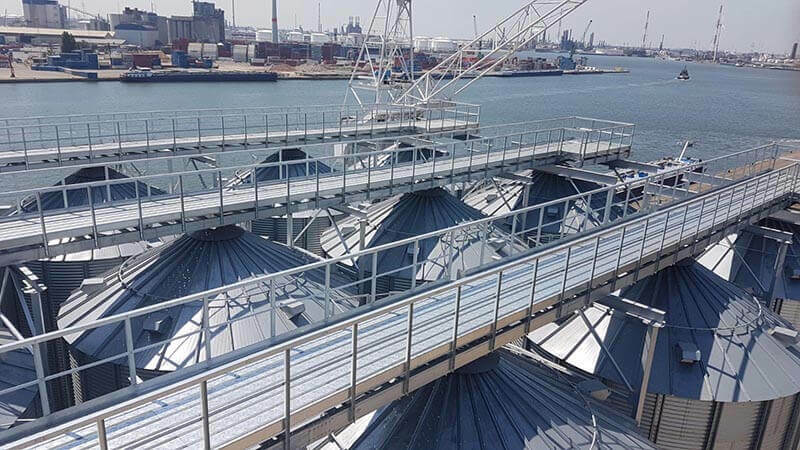 Silos Córdoba is delighted to announce a new installation, located in the heart of Europe, a turnkey grain terminal in the port of Antwerp, Belgium. The Port of Antwerp is Europe’s third largest seaport, after Rotterdam and Hamburg, handling 15,000 commercial vessels annually, plus 57,000 inland barges, some of them exceeding 100,000 tons. Its location, 80 km inland, places maritime cargo deep into the European continent. The 37 grain silos of this storage plant, which rise a few meters above the water, are for malt and barley, the total capacity exceeds 20,000 tons. 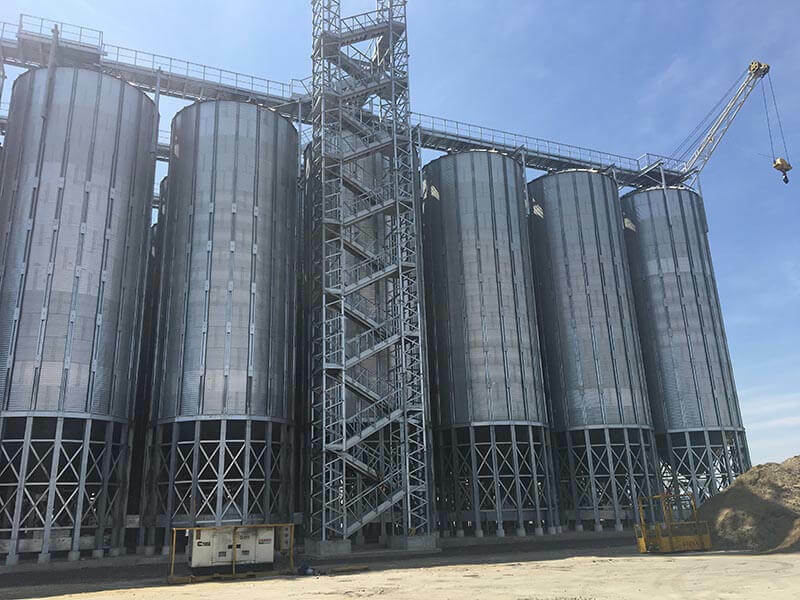 The new storage facility features specially reinforced silos for high grain transfer and flow rates, along with a variety of accessories to preserve the quality of grain, such as ventilation, a temperature control system, level sensors, etc. 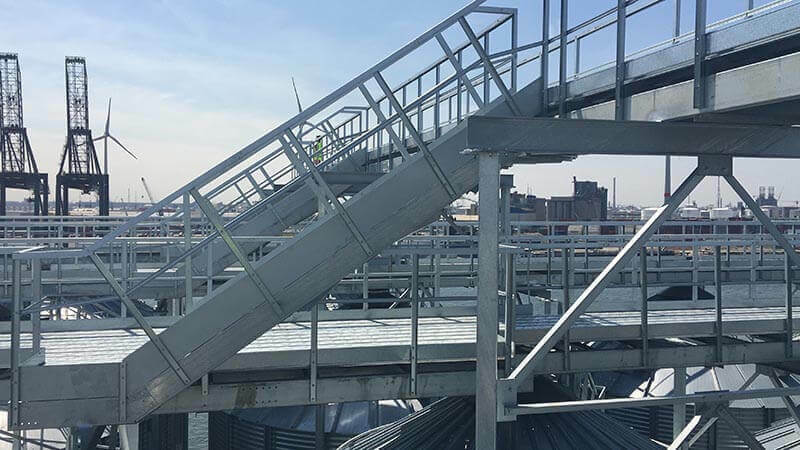 Moreover, Silos Córdoba has developed and supplied several structures that are fully adapted to the project needs, such as a stair tower, wide catwalks and different types of supports. Both, silos and structures, are manufactured in Silos Córdoba’s facilities and are made of S350GD steel and a Z600 galvanised coating, that can reach S600GD in some of the silos’ reinforcements. 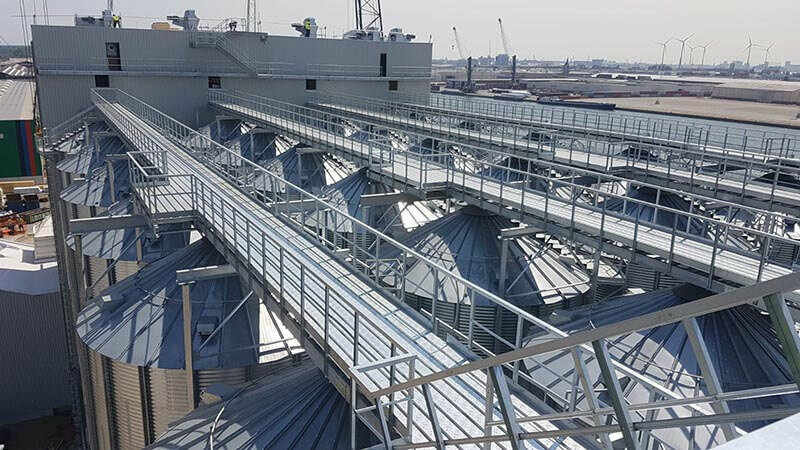 In addition, the silo’s roof is made of our innovative Promag steel, which combines zinc, aluminium and magnesium in its composition, thus offering a longer life cycle, with protection against corrosion in this saline and industrial environment. On the other hand, it is worth noting that the assembly has been carried out entirely by the team of our Assembly and Technical Supervision Department, which makes such a specific facility even more reliable, taking into consideration even the smallest details. 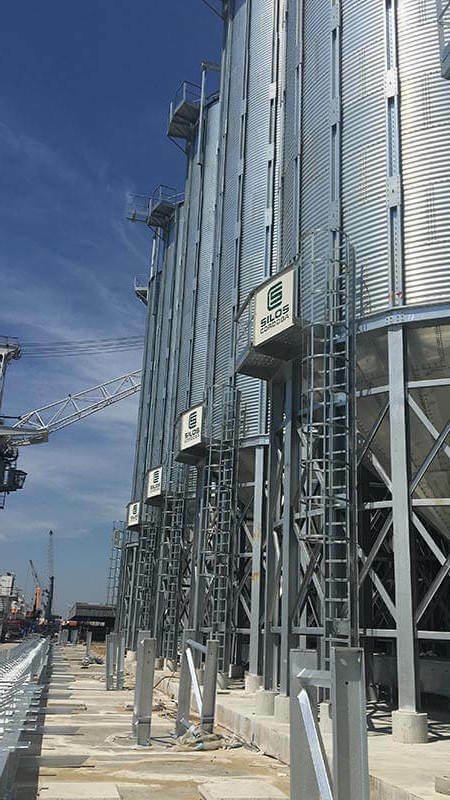 At Silos Córdoba, we are convinced that this project in Belgium will be a reference at European and global level, strengthening our position as first choice suppliers of “turn-key” projects for grain terminals in any port on the planet.